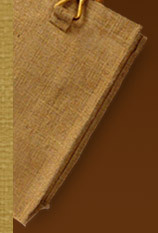 Abundantly available, jute is an Eco-friendly and bio-degradable natural product. Initially, it was used to make sacks and ropes but now it is increasingly used as a raw material to make variety of products and fashion accessories like clutches and bags. Jute Clutch Bags can be made in different colors, sizes, handles, etc, depending upon requirements. Fashionably designed and available in various sizes from medium to large, a jute clutch bag is a hand bag used by women to make a style statement. These bags are not only handy but also a complimentary accessory to enhance their style. 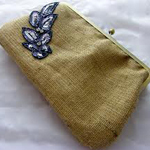 These eco friendly jute clutch bags can be personally designed in various patterns and styles. Further, keeping in mind on-going trends and in vogue trend, these can be beautifully decorated and embroidered using laces, beads, sequins, ribbons, etc. Owing to their sturdy designs and multifunctional properties, these have gained high popularity among women. Jute Clutch Bags in combination with other fabrics can be made more stylish by adding different colors, designs and different patterns. Usually, Jute Clutch Bags are small sized and are typically meant for short evening outings and parties. Aesthetically designed and finely crafted, these often come with wooden handles or laces that look quite stylish and more appealing. With the plethora of designs and styles offered by designers and manufacturers, these bags have become quite a significant choice for almost every women. It not only enhances once's personality and adds style but also are handy to carry essentials. Witnessing an increased popularity of jute clutches in the market, many designers and fashion stores have started promoting their creations in various exhibitions to attract more and more buyers. Available in unique designs and styles, these jute clutch bags are quite affordable and pocket friendly depending upon it utility. Hence, one can have a wide and exclusive collection of such eco friendly clutch bags and other Jute Bags at his/her disposal.